Allen, Charles M. 1992. Grasses of Louisiana, Second Edition. Cajun Prairie Habitat Preservation Society, Eunice, LA. Allen, Charles M., Dawn Allen Newman, and Harry H. Winters. 2002. Trees, shrubs, and woody vines of Louisiana. Allen's Native Ventures, LLC, Pitkin, LA. Bailey, Liberty Hyde, Ethel Zoe Bailey, and the staff of the Liberty Hyde Bailey Hortorium. 1976. Hortus Third: A Concise Dictionary of Plants Cultivated in the United States and Canada. MacMillan Publishing Company, New York. Brown, Clair A. 1945. Louisiana Trees and Shrubs. Louisiana Forestry Commission, Bulletin No. 1. Correll, Donovan Stewart and Conring Johnston Marshall. 1970. Manual of the Vascular Plants of Texas. Texas Research Foundation, Renner, TX. Cronquist, Arthur. 1980. Vascular Flora of the Southeastern United States. Volume I: Asteraceae. The University of North Carolina Press, Chapel Hill. Duncan, Wilbur H. and Marion B. Duncan. 1988. Trees of the Southeastern United States. Flora of North America Editorial Committee. 1997. Flora of North America, North of Mexico. Volume 3: Magnoliophyta: Magnoliidae and Hamamelidae. Oxford University Press, Oxford. Flora of North America Editorial Committee. 2000. Flora of North America, North of Mexico. Volume 22: Magnoliophyta: Alismatidae, Arecidae, Commelinidae (in part), and Zingiberidae. Oxford University Press, Oxford. Flora of North America Editorial Committee. 2002a. Flora of North America, North of Mexico. Volume 26: Magnoliophyta: Commelinidae (in part): Cyperaceae. Oxford University Press, Oxford. Flora of North America Editorial Committee. 2002b. Flora of North America, North of Mexico. Volume 26: Magnoliophyta: Liliidae: Liliales and Orchidales. Oxford University Press, Oxford. Flora of North America Editorial Committee. 2003a. Flora of North America, North of Mexico. Volume 4: Magnoliophyta: Caryophyllidae, Part 1. Oxford University Press, Oxford. Flora of North America Editorial Committee. 2003b. Flora of North America, North of Mexico. Volume 25: Magnoliophyta: Commelinidae (in part): Poaceae, part 2. Oxford University Press, Oxford. Gandhi, Kancheepuram N. and R. Dale Thomas. 1989. Asteraceae of Louisiana. Sida Botanical Miscellany No. 4. SMU Herbarium/BRIT, Dallas. Godfrey, Robert K. and Jean W. Wooten. 1979. Aquatic and Wetland Plants of the Southeastern United States. Monocotyledons. The University of Georgia Press, Athens. Godfrey, Robert K. and Jean W. Wooten. 1981. Aquatic and Wetland Plants of the Southeastern United States. Dicotyledons. The University of Georgia Press, Athens. Isley, Duane. 1990. Vascular Flora of the Southeastern United States, Volume 3, Part 2, Leguminosae (Fabaceae). The University of North Carolina Press, Chapel Hill. Isley, Duane. 1998. Native and Naturalized Leguminosae (Fabaceae) of the United States (exclusive of Alaska and Hawaii). Monte L. Bean Life Science Museum and Brigham Young University, Provo, UT. Lasseigne, Alex. 1973. Louisiana Legumes. Southwestern Studies: Sciences Series, No. 1, University of Southwestern Lousiana, Lafayette. Radford, Albert E., Harry E. Ahles, and C. Ritchie Bell. 1968. Manual of the Vascular Flora of the Carolinas. The University of North Carolina Press, Chapel Hill. Small, John Kunkel. 1933. Manual of the Southeastern Flora. The University of North Carolina Press, Chapel Hill. Smith, Edwin B. 1994. Keys to the Flora of Arkansas. The University of Arkansas Press, Fayetteville. Thieret, John W. 1980. Louisiana Ferns and Fern Allies. 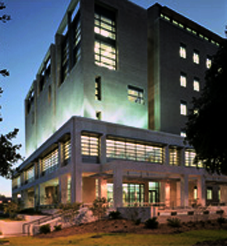 Lafayette Natural History Museum and the University of Southwestern Louisiana, Lafayette. Thomas, R. Dale, and Allen, Charles M. 1993. Atlas of the Vascular Flora of Louisiana, Volume I: Ferns & Fern Allies, Conifers, & Monocotyledons. Louisiana Department of Wildlife and Fisheries Natural Heritage Program, Baton Rouge, LA. Thomas, R. Dale, and Allen, Charles M. 1996. Atlas of the Vascular Flora of Louisiana, Volume II: Acanthaceae-Euphorbiaceae. Louisiana Department of Wildlife and Fisheries Natural Heritage Program, Baton Rouge, LA. Thomas, R. Dale, and Allen, Charles M. 1998. Atlas of the Vascular Flora of Louisiana, Volume III: Fabaceae-Zygophyllaceae. Louisiana Department of Wildlife and Fisheries Natural Heritage Program, Baton Rouge, LA. Tobe, John D. and 14 others. 1998. Florida Wetlands Plants: An Identification Manual. Florida Department of Environmental Protection, Tallahassee. Vincent, Karl A. 1982. Scrophulariaceae of Lousiana. MS Thesis, University of Southwestern Louisiana. Wunderlin, Richard P. 1998. 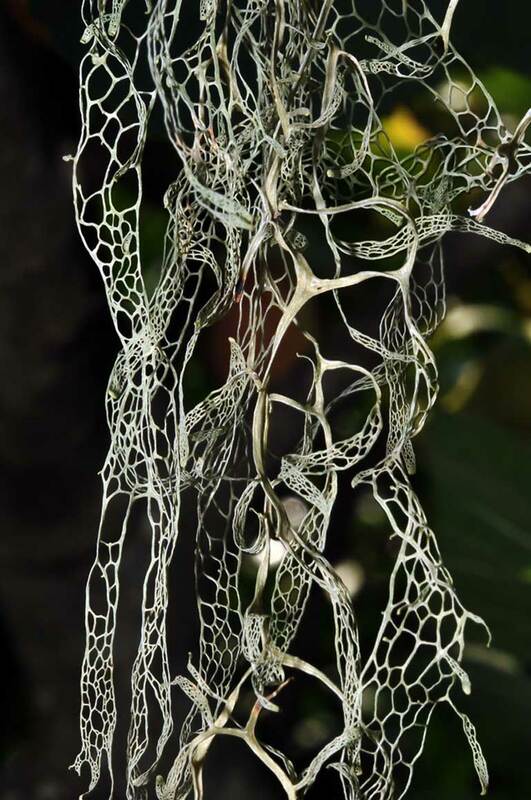 Guide to the Vascular Plants of Florida. University of Florida Press, Gainsville.